but in what you give away. As a way to provide a life changing opportunity for an individual or family living in extreme poverty, World of Good offers you the chance to give the gift of a self-sustaining income that can last a lifetime. Through your donation, you can purchase any of the following, providing a needy family with the precious gifts of self sufficiency and hope! - A female goat or sheep provides a family milk and an opportunity to build a business. - A flock of 3 goats or sheep provides a much larger business through breeding opportunities. - A flock of chickens to be used for reproduction and to sell eggs. Each of these gifts comes with the supplies and education necessary that provides a needy recipient living in our project area with the skills to be successful in providing their family with a continuous income. Please remember that these invaluable ways of giving make the perfect gifts in someone's name the next time you are "gift shopping" for friends and family. 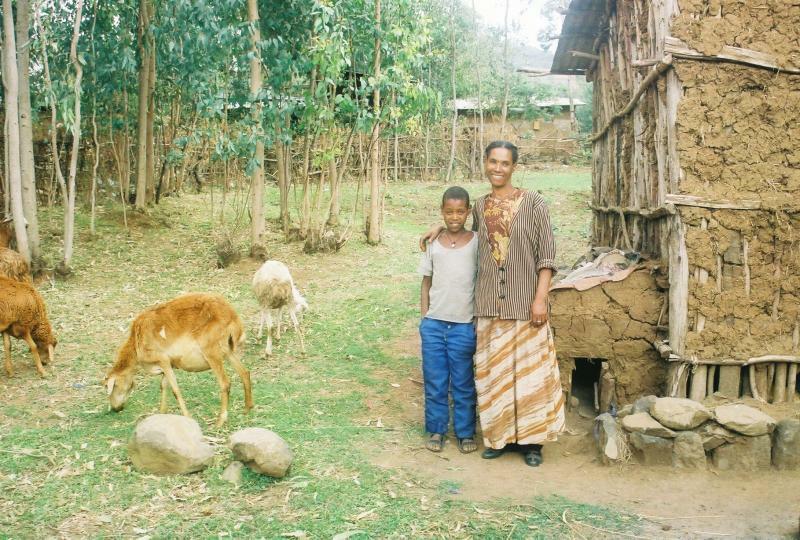 Genet and her son have a bright future as recipients of livestock. World of Good has personally seen the smiles that have come from the many recipients who have been blessed with a life-changing opportunity to have an ongoing income through either a co-op or business venture. 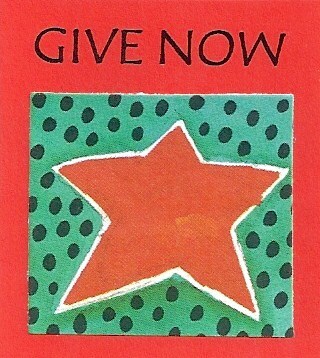 Individuals who were previously struggling for their daily needs with little to no income are given the gift of hope. ~ Thanks to kind donors, World of Good has funded the set-up of a Beekeeping Co-op that now provides an ongoing income for 33 previously destitute farmers. 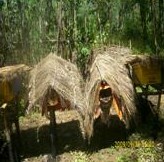 "Modern" bee hives produce honey, a staple sweetener in Ethiopia. 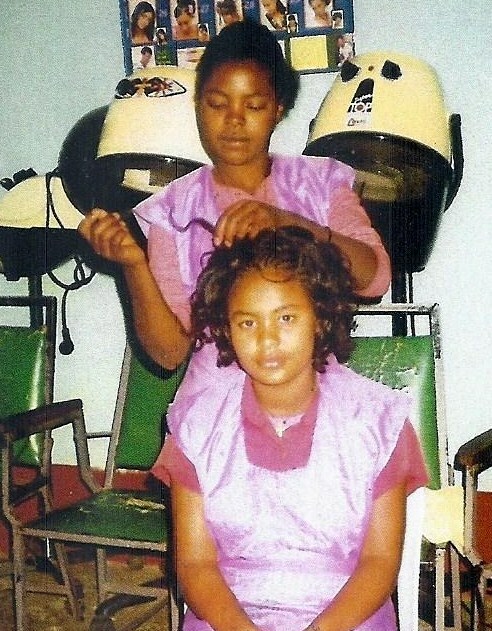 ~ Nine of World of Good's female sponsorship graduates are now proud business owners of their own Beauty Salon Co-op after receiving the training and supplies to set up their business. Fernus practices her skills on fellow co-op member Mantegbosh. ~ World of Good is proud to provide business opportunities for women who are the sole support of their family. Uneducated and previously destitute, these women are now happily supporting their families. A 19 yr old mother of twins is full of pride to own her own street vendor business. One of the greatest caues of ill health in the third world continues to be caused by the lack of sanitary water sources. World of Good has put the improvement of water accessibility and sanitation high on our list, supporting water sanitation needs within our project area as we are able. Your donation designated to water sanitation will assist with both small scale plans such as hygiene courses to larger scale improvements such as community wells and well repairs - all beneficial in lessening the spread of disease. 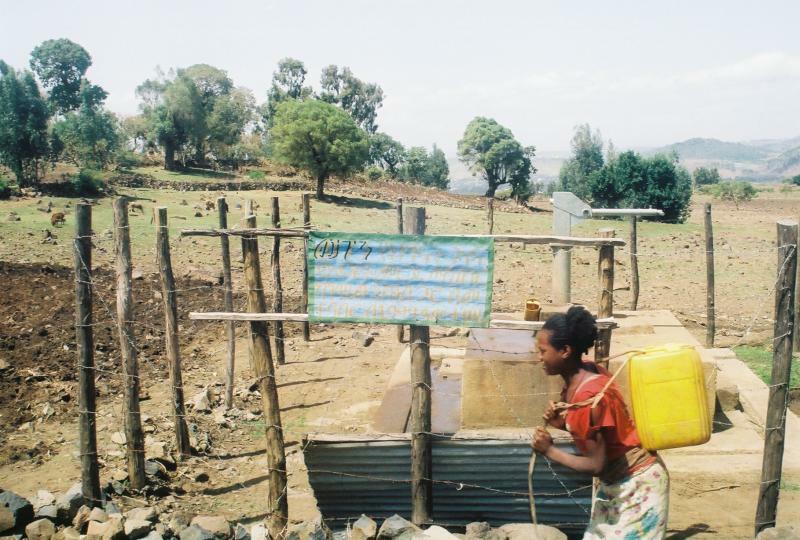 Young girls in our project area are grateful for their clean and accessible water. As funds allow, World of Good supports supplemental education and enrichment programs to improve the academic standing of our sponsorship children and assists schools within our project area. 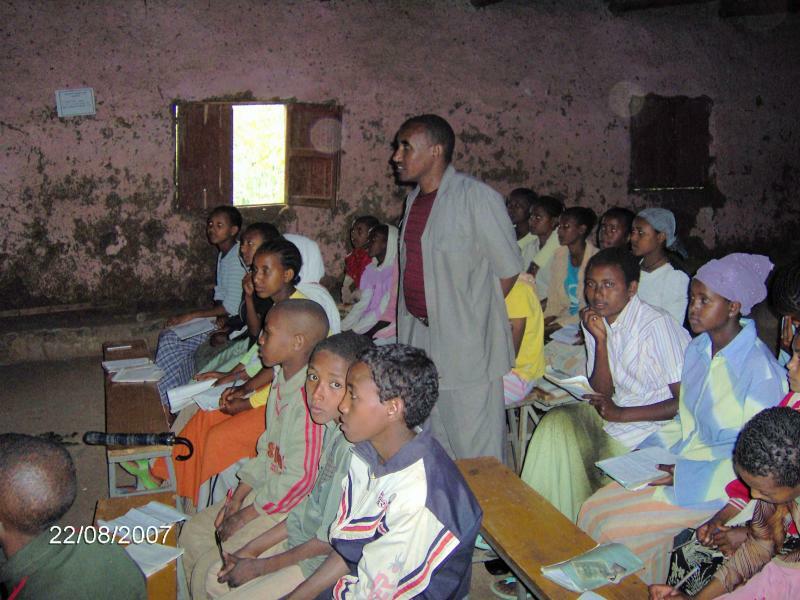 Ethiopia has no shortage of intelligent, hard working students who are no different than children here... living their lives with dreams to become teachers, doctors, scientists, etc.... in hopes of becoming proud members of their family, community and country. World of Good students are honored to participate in the WOG funded summer tutoring program.